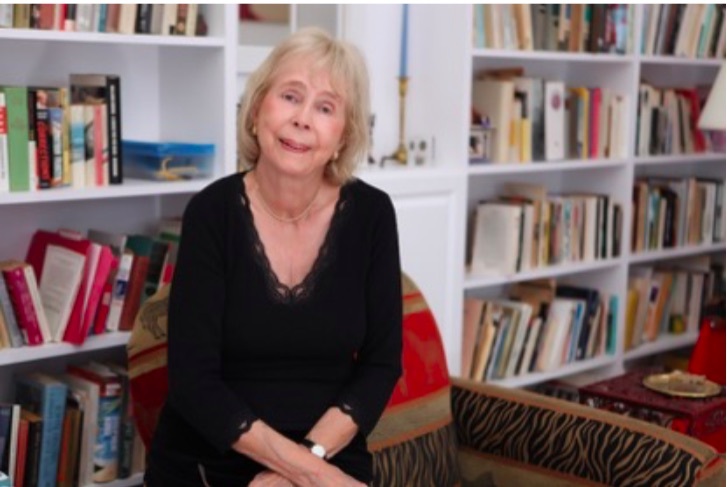 Art critic, fiction writer, and graphic artist, Elisabeth Stevens Schleussner died at her home on Sunday, June 10 of a sudden heart attack. With a journalistic and artistic career that spanned six decades, Elisabeth Stevens Schleussner, who wrote under her maiden name Elisabeth Stevens, published over 20 books of fiction, poetry, and drama. As a journalist, she served as the art critic for The Washington Post, The Wall Street Journal, The Trenton Times, and The Baltimore Sun. Her reviews and articles also appeared in publications including Art News, The Atlantic, The New Republic, Mademoiselle, LIFE, and the Sarasota Herald-Tribune. Known for her sharp intellect and extensive personal library on literature and art, Elisabeth was born in Rome, New York in 1929, the only child of George May Stevens, who worked for National Distillers, and Elisabeth Stryker. She grew up in the New York and New Jersey area, attending Columbia High School in Maplewood, NJ, and received her BA from Wellesley College. After working briefly in Washington, D.C., she moved to New York, where she attended Columbia University and received a MA with High Honors in Modern Literature, writing her thesis on the Welsh poet Dylan Thomas. In New York she met and married Farrell Grehan in 1959, a noted travel and nature photographer who worked regularly for publications such as National Geographic, and LIFE. The marriage ended in divorce. While in New York she also attended the Arts Students League, studying with Yasuo Kuniyoshi. Elisabeth began her journalistic career in New York, initially by doing striking black-and-white illustrations for political journals that covered the events of the early sixties, including the elections of 1960, the Cuban Missile Crisis, and the desegregation of Ole Miss. She then began writing articles on a freelance basis to accompany her illustrations, including an article about a major mining accident in Dola, West Virginia in 1963, for which she visited the mines and interviewed miners. At the time, when women in journalism were more the exception that the rule, Elisabeth was hired as a general reporter by The Washington Post in the mid sixties and soon became the paper’s art critic. In 1967 she married Robert C. Schleussner, Jr., an engineer and executive. She then moved back to the New York area, beginning her work for The Wall Street Journal and then The Trenton Times. In 1979, after the death of her husband, she moved to Baltimore to take on the post of Art and Architecture Critic for The Baltimore Sun. Throughout her life, she also wrote fiction and poetry. Shortly before her death she completed her fifth collection of short stories, which will be published by BrickHouse books this summer. In her literary writing Elisabeth distilled everyday experience into stark, surreal scenarios of heightened feeling. During her time in Baltimore she was involved in a vibrant literary community, worked with small presses to publish her writings, which she often illustrated, and received numerous awards. She enjoyed residency fellowships at the MacDowell Colony, Yaddo, and the Virginia Center for the Creative Arts. Her longtime friend, US Poet Laureate Josephine Jacobsen, described her works as having “a depth of emotion and simultaneous control ... a haunting quality that will linger in the mind.” Elisabeth’s poem “Return I” was featured by Garrison Keillor in his Writer’s Almanac. After moving to Sarasota in 2002, Elisabeth Stevens Schleussner became an active member of the Sarasota artistic community, working with Patrick Lindhardt in the printmaking department of the Ringling School of Art and Erika Greenberg-Schneider of Bleu Acier in Tampa to produce numerous etchings and creating several limited edition artist books with original etchings. These can be found in collections at the New York Public Library, Princeton University, The School of the Art Institute of Chicago, and the Staatliche Museen zu Berlin, Germany. Her work was represented by the Stakenborg Greenberg Fine Art Gallery in Sarasota. A solo show of her graphic works was presented at State College of Florida in 2015. She is survived by her daughter Laura and grandson Xavier.